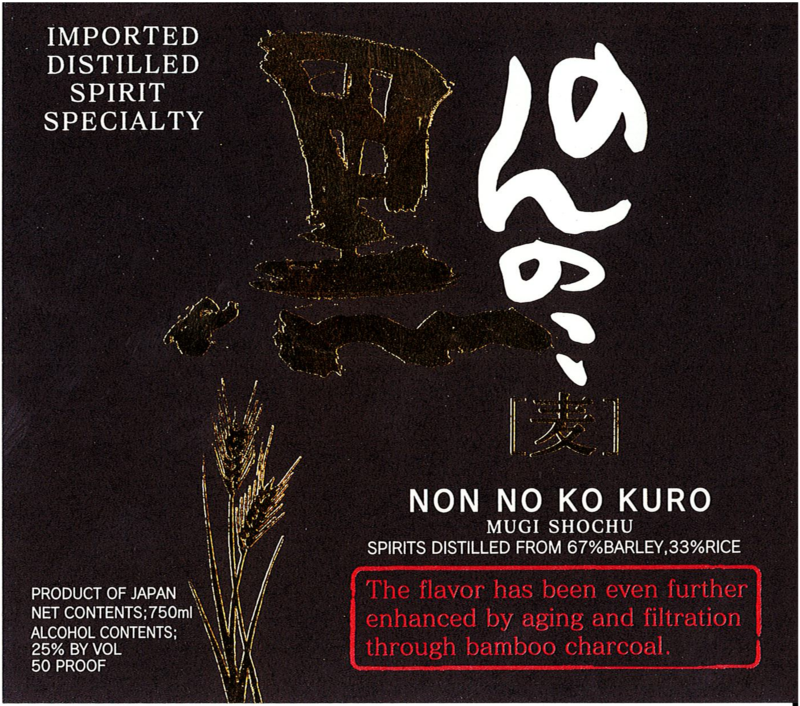 Non No Ko Kuro is made utilizing Saga Prefecture cultivated barley, Tanbonoyume rice and black koji; giving it a full-bodied flavor. The distillate is then aged with bamboo charcoal resulting in a gentle, fresh, and clean taste. Aged with Bamboo Charcoal and then Filtered through Bamboo Charcoal. Full-Bodied, Fresh Taste, Lingering Finish.